Hello! 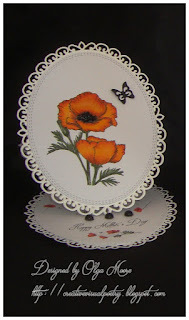 I received a request to make 2 easel cards for Mother's Day, one showcasing an orange poppy and the other a red poppy. These were going to be sent to daughters of the person requesting them. 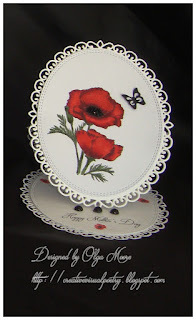 If you've never made an easel card but would like to try to make one, here is a link. Since I'm providing a link to a video tutorial, I won't go into detail on how to create these. It'll be a lot easier to watch a video. There are many video tutorials to choose from on line if you'd care to look into them. I hope you try your hand at creating some easel cards. I'm sure you'll love the end result. Thanks for stopping by and remember to make it a great day! Those are so beautiful and elegant. It's been a long time since I made an easel card. And I love the poppies too. So pretty. 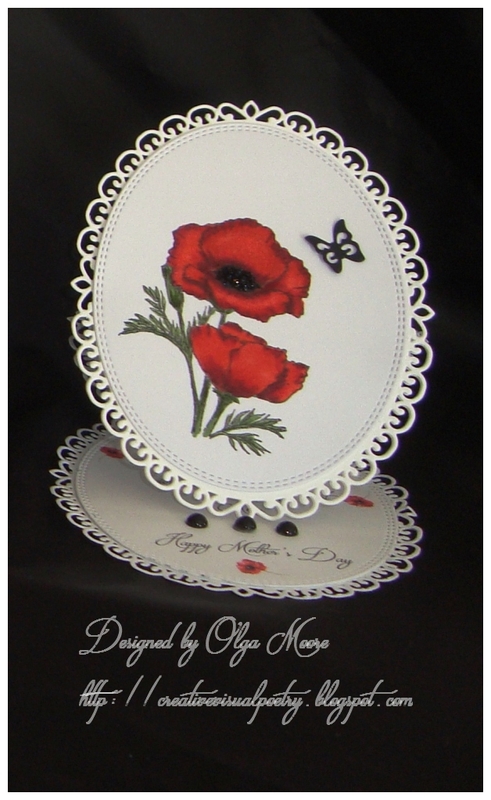 I love that poppy image and the oval is gorgeous. Well done!